Arthritis is one of the most commonly recognized conditions responsible for pain, and there’s a clear reason why: it happens to be one of the leading causes of disability throughout the world. Many people also tend to associate arthritis with older age, which can lead to the perception that it’s only something to worry about “when that time comes.” While it is true that the risk for certain types of arthritis do increase with age, there are actually many different forms, and it’s important to understand that you can be affected by it at any stage of life. The first point that needs to be made about arthritis is that it’s not a single disease. Instead, the term “arthritis” is used describe over 100 conditions that affect the joints or tissues around the joints. While there are unique characteristics of each type of arthritis that require special attention, they all involve inflammation of one or more joints in the body, and generally result in pain and stiffness in and around the affected joint(s). Right now, approximately 54 million Americans—which is about 23% of the population—have some type of arthritis. 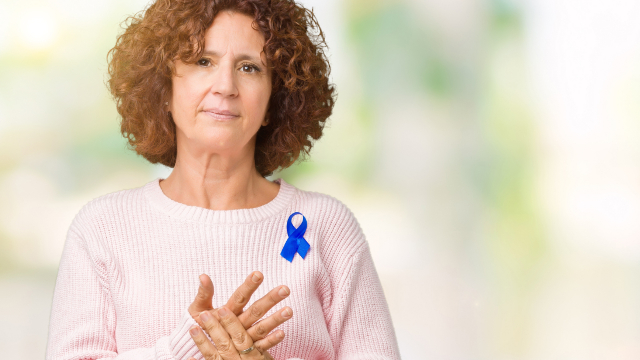 For some individuals, arthritis symptoms may be barely detectable or come and go, while others are severely impaired by their condition on a daily basis. The amount of disability that arthritis causes will typically depend on its specific type, intensity, and possibly the person’s age. Osteoarthritis is far and away the most common type of arthritis. While figures vary, it’s estimated that as many as 31 million individuals are currently affected by osteoarthritis in the U.S. This type of arthritis is also typically associated with older age, and in this case, the connection is somewhat accurate. In every joint in the body, two bones meet in order to allow movement. The ends of each of these bones are normally covered by cartilage, which protects the bones from rubbing against one another and serves as a shock absorber for impact upon the joint. Osteoarthritis causes the cartilage in certain joints to become stiff and lose its elasticity, which makes it more vulnerable to damage. Over time, the cartilage may begin to wear away, which greatly reduces its ability to absorb shock and increases the chances of the bones coming in contact with one another. Osteoarthritis can occur at any age, but the chances of getting it increase significantly as the body grows older. The majority of people with osteoarthritis are at least 40, and some studies have shown that about 70% of individuals over the age of 70 have at least some signs of it, whether they notice symptoms or not. The main reason for this is that the aging process leads to certain changes in the body that cannot be reversed. Bones become less dense and more fragile, and the there is less water in the cartilage as it also begins to shrink in size. The result of these changes is less protection of the bones, which often results in inflammation and symptoms like pain and stiffness. Another fairly common type of arthritis is called rheumatoid arthritis. Rheumatoid arthritis is an autoimmune disease, which means it’s caused by the body’s immune system mistakenly destroying healthy tissue in the lining of joints for unknown reasons. This attack causes the joints to become inflamed, swollen, and painful, but other areas of the body may also be affected, and symptoms like fatigue, fever, and loss of appetite may occur. About 1.5 million Americans have rheumatoid arthritis, and three times as many women are affected by it as men. Rheumatoid arthritis also tends to be associated with older age, but unlike osteoarthritis, it does not occur due to age-related changes and is usually seen earlier in life. The average age for onset of rheumatoid arthritis is between 30-60, but it’s also seen in younger individuals as well. Regardless of age, rheumatoid arthritis is a chronic disease that gets progressively worse over time. Symptoms vary from person to person, but in most cases it causes periods of increased symptoms (flares) followed by periods of symptom-free remission. The chances of developing arthritis are even lower in childhood, but there is still a risk that must be acknowledged. The most common type of arthritis in those under the age of 17 is juvenile arthritis, which affects about 300,000 individuals. The term juvenile arthritis includes many different inflammatory and autoimmune disorders that, like rheumatoid arthritis, cause the immune system to attack its own healthy cells in joints. It’s not clearly understood why this occurs, but both genetic and environmental factors likely play a part. Whatever its cause, juvenile arthritis also leads to a similar set of symptoms, such as pain, swelling, and stiffness that can interfere with a child’s daily functioning. So as with all forms of arthritis, these children require a set of tools and treatments to alleviate their symptoms and allow them to carry on with their lives in less pain.